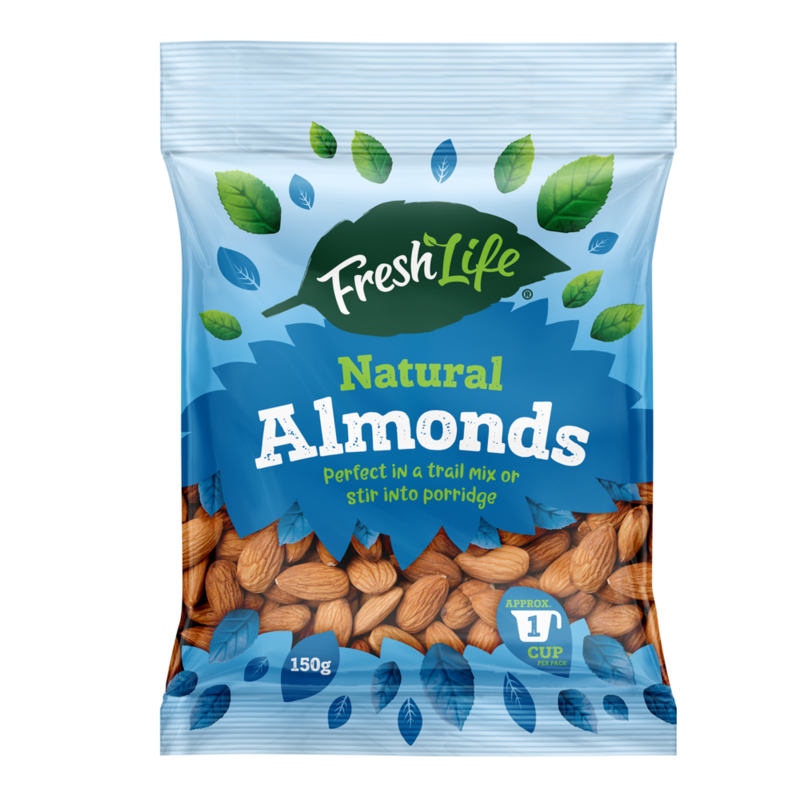 Hello, we’re FreshLife and we’re proud to have been providing New Zealanders with great quality nuts, seeds and dried fruits for over ten years. Our focus today is the same as it was ten years ago - to use our sourcing expertise to bring you the best quality ingredients from around the world, and provide you with inspiration to create some delicious and nutritious dishes at home. Our range is available from all Countdown stores, as well as selected Fresh Choice, Fresh Collective and New World stores. Please feel free to contact us for your nearest stockist. Grown and harvested in the sunny orchards of Australia or California, our almonds are the sweetest and crunchiest that nature has to offer. Available as natural, sliced, slivered, ground or oven roasted. Grown in the fertile soils of California, renowned for producing the sweetest walnuts, our nuts are shelled then hand-sorted to ensure you receive the very best quality. Available as walnut pieces or walnuts – a mix of halves and pieces. Grown and harvested in South America, our premium quality Hi-Oleic peanuts are perfect for adding flavour and crunch to a wide variety of dishes. Did you know that peanuts aren’t in fact true nuts, but legumes that grow underground? It’s for this reason that they’re sometimes referred to as ‘groundnuts’ or ‘earthnuts’. Available as blanched or natural. Grown in the warm, humid climates of India, South East Asia and Africa, cashews are seeds that grow from the base of cashew apples. Available as natural or oven roasted. We also use our sourcing expertise to bring you the very best brazil nuts, hazelnuts, macadamias, pistachios, pine nuts and pecans. Delicious in sweet and savoury baking recipes or for snacking.